B’nai Mitzvahs, Boureka baking and Bimbas: participants on the 2016 Summer Family Mission encountered all three over the past week traveling through Israel. 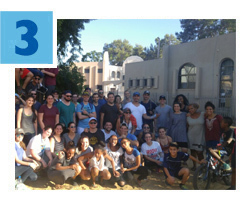 Mission participants met with members of the Y-Team, a championship robotics group from Yerucham, Federation’s partnership city in the Negev. They helped build, and subsequently provide funding for, several Bimbas, which are small, mechanical toy cars that have been adapted specifically for children with physical disabilities. 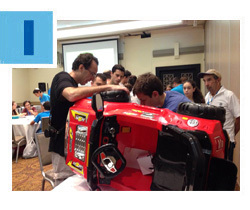 The Miami-Yerucham Partnership supports the robotics team in Yerucham and is bringing numerous robotics programs to Miami utilizing the expertise of the Y-Team. Click here to see more photos from the Summer Family Mission. Federation elected Amy N. Dean to serve as Chair of its Board of Directors, and Jeffrey Scheck to serve as Vice Chair and General Campaign Chair, effective July 1, 2016. Federation also selected a full slate of 2016-17 Officers and Board of Directors Members during its recent Annual Meeting, and honored outgoing Board Chair Robert G. Berrin. 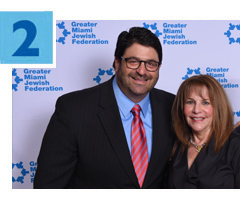 Berrin served as Chair of the Board of the Greater Miami Jewish Federation from 2014-2016, and previously served as Federation’s Vice Chair and General Campaign Chair of the Annual Federation/UJA Campaign from 2012-2014. Click here to read more about Dean and Scheck. A full Birthright bus of Miamians and Israeli soldiers is making its way through Israel! So far the group has explored Tzfat, played soccer in Pardes Channa-Karkur, enjoyed Tel Aviv and even picked enough butternut squash with Project Leket, an initiative in southern Israel that promotes food rescue, to feed 600 people! The group recently made its way into the Negev for an adventure in Yerucham, where they participated in a drum circle and spent time with Yerucham's senior residents before experiencing an evening of Bedouin hospitality. Federation and its overseas partners have provided more than 8,000 Jews in the Ukraine with food, medicine, medical care, clothing, housing subsidies, post-trauma care, and Jewish community connections since armed conflict erupted in the region over the past two years. Nearly 10,000 people in the region have died, and inflation and unemployment have skyrocketed, leaving those once independent now struggling to cope. During the conflict, thanks to your generous support, Federation’s partner on the ground, JDC, has provided a variety of vital aid to those in the conflict zone. Click here for a full update on JDC activities in Ukraine related to the conflict in the eastern part of the country. Miamians spending eight weeks in Israel as part of Onward Israel’s internship program recently toured the country’s northern region, visiting a winery and taking a water hike in the Kibbutzim stream. 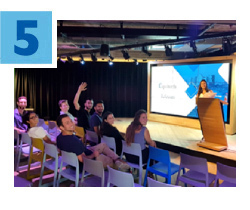 This highly subsidized 8-week professional internship program allows Jewish college students attending Miami-area universities to live in Tel Aviv, have an internship in a field of their choice to gain valuable professional experience, and explore a new country and culture. Students will have opportunities to learn about the Miami community’s investment in Israel and how to create Israeli engagement back in Miami. Click here to find out more about this unique opportunity.